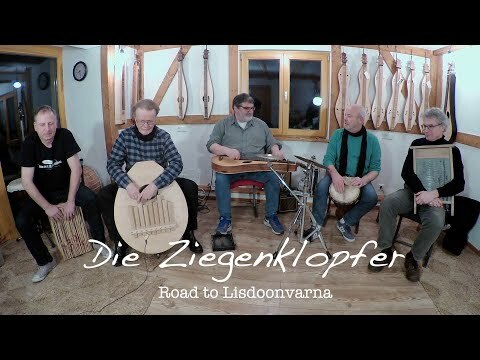 Die Ziegenklopfer spielen "Road to Lisdoonvarna" im Dulcimershop in Ludwigsburg. Dulcimer, Djembe, Bass-Marimbula, Cajon, Waschbrett, Percussion. @Steve - Oh thank you Steven for the comment. Wow. In fact, a double wow wow. A group of happy smiling musicians playing good music and having a great time. Doesn't get much better than that. Ihr seid eine klasse Truppe - toll gespielt, Martin! That's quite a talented group of percussionists backing-up your excellent playing, Martin!